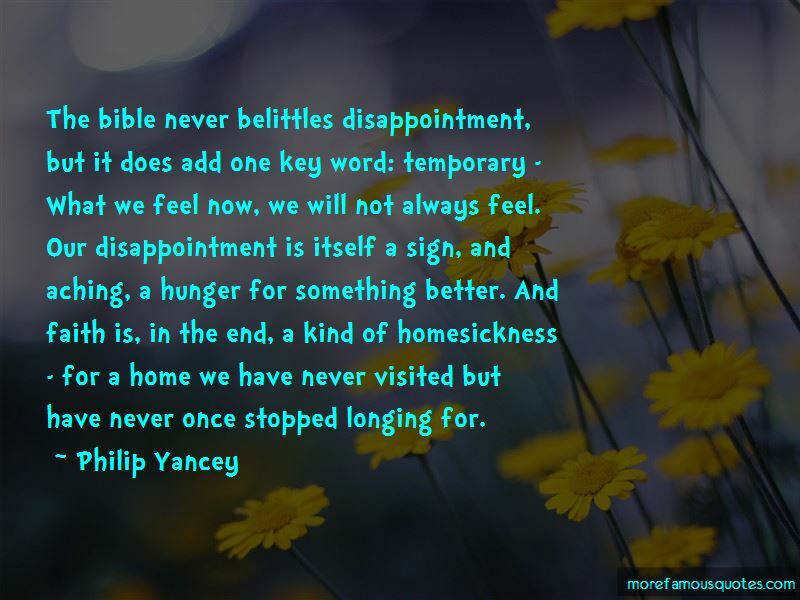 Enjoy the top 389 famous quotes, sayings and quotations by Philip Yancey. At the heart of the gospel is a God who deliberately surrenders to the wild, irresistable power of love. Human beings do not readily admit desperation. When they do, the kingdom of heaven draws near. Life with God is an individual matter, and general formulas do not easily apply. We dare not invest so much in the kingdom of this world that we neglect our main task of introducing people to a different kind of kingdom, one based solely on God's grace and forgiveness. Passing laws to enforce morality serves a necessary function, to dam up evil, but it never solves human problems. 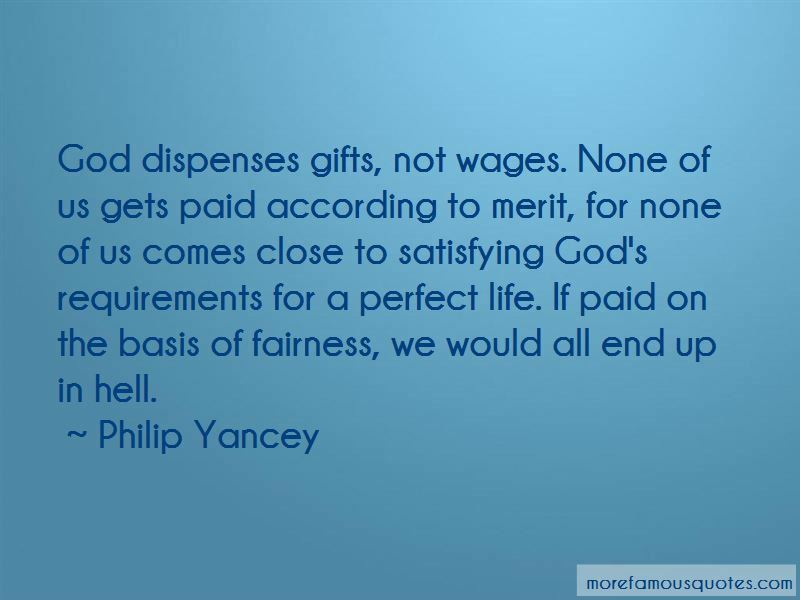 God dispenses gifts, not wages. None of us gets paid according to merit, for none of us comes close to satisfying God's requirements for a perfect life. If paid on the basis of fairness, we would all end up in hell. Democracy requires us to recognize others' rights even when we fundamentally disagree with them. It requires a civility in which I respect a person's ultimate worth and seek to persuade but not to coerce. For this reason modern democracy grew out of Christian soil. We must exercise the skill of ethical surgeons in deciding which moral principles apply to society at large and how best to apply them. C. S. Lewis shocked many people in his day when he came out in favor of allowing divorce, on the grounds that we Christians have no right to impose our morality on society at large. Although he would continue to oppose divorce on moral grounds, he maintained the distinction between morality and legality. Edward Gibbon said that in ancient Rome all religions were to the people equally true, to the philosophers equally false, and to the government equally useful. A news event in 1995 shocked both sides in the culture war controversy. Norma Leah McCorvey, the "Jane Roe" in the famous Supreme Court case of 1973, converted to Christ, got baptized, and joined the pro-life campaign. From such experiments Christians have learned that the gospel grows best from the bottom up rather than being imposed from the top down. The Christian sees the world as a transitional home badly in need of rehab, and we are active agents in that project. When we ignore the world outside the walls we suffer-as does it. 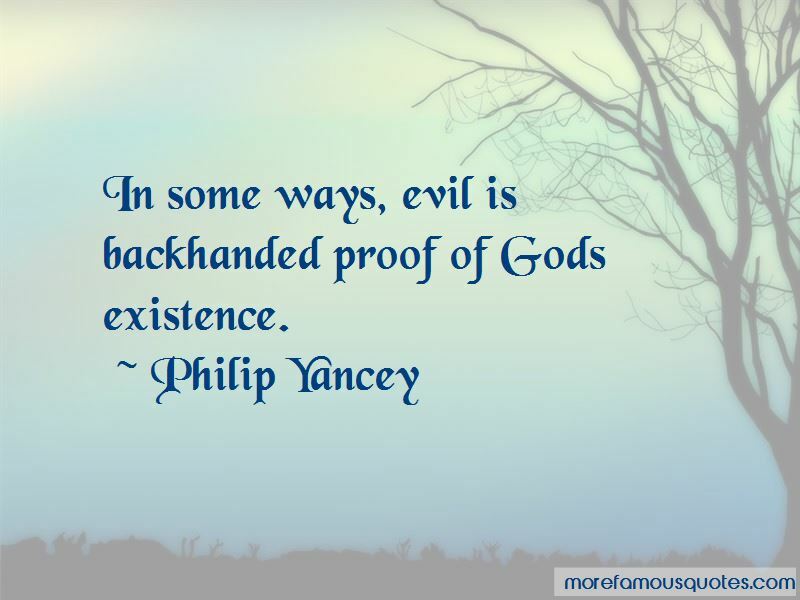 Want to see more pictures of Philip Yancey quotes? 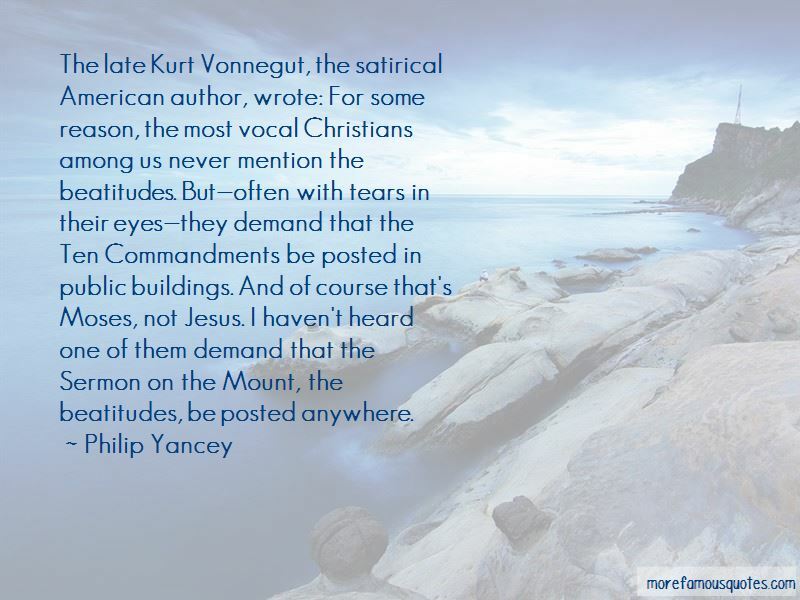 Click on image of Philip Yancey quotes to view full size.